Our photo birthday invitations can be printed on either a heavy white or ivory hammered card 270 gsm or on an attractive brown flecked eco-friendly kraft card with a rough natural feel (280gsm). Large Square measuring 15cm x 15cm. 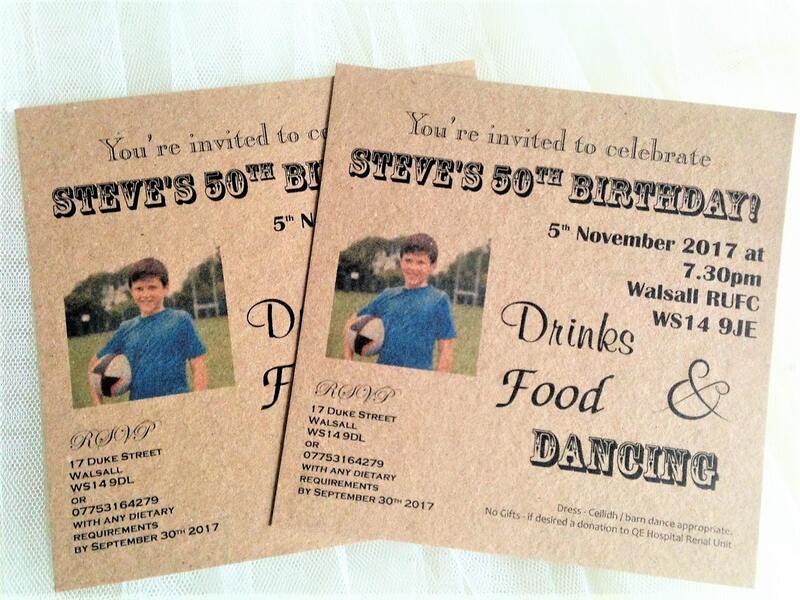 Includes all personalised printing and a matching envelope. 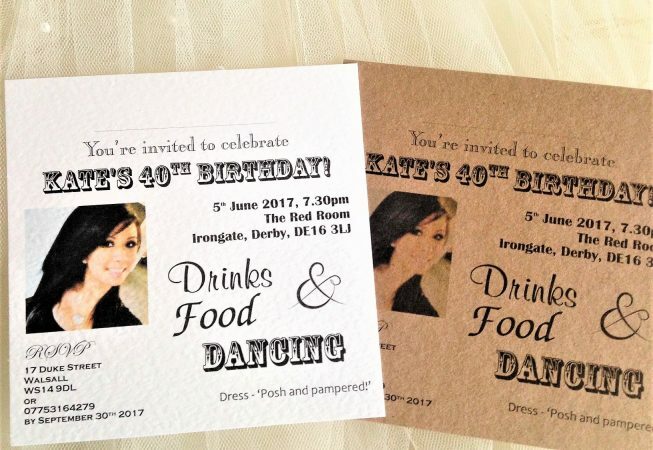 Font styles are as shown on the invitation samples in the photographs. 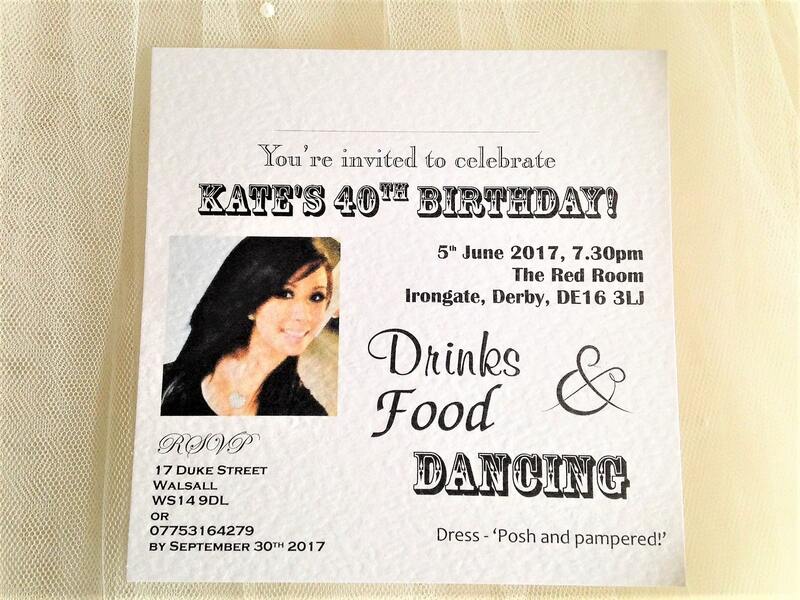 We have short lead times, our printing is done in house. 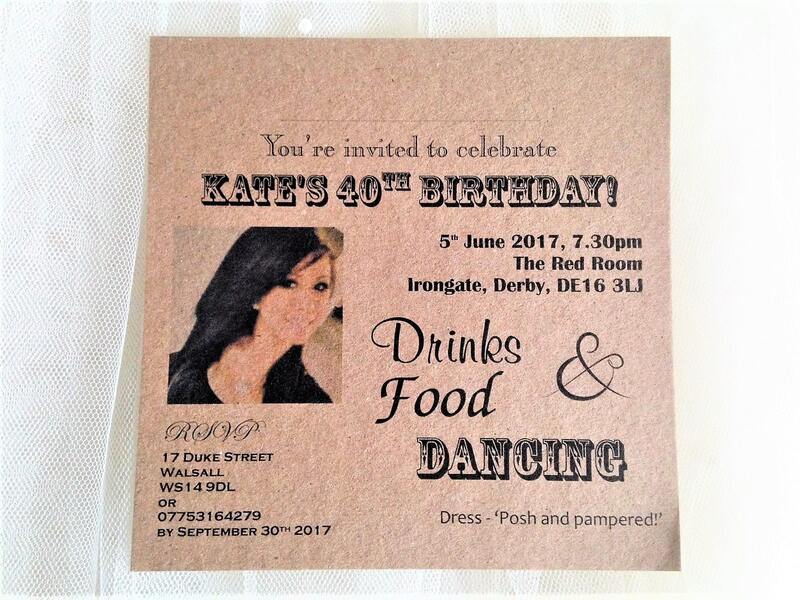 Birthday invitations can be ordered and supplied within a short timescale, usually 3-4 days for quick delivery in the UK.